1. You can go to either YongPyong Resort or Alpensia Pyeongchang Resort from Seoul comfortably by taking this shuttle bus product! 2. 1-way trip, round trip, snow sled, gondola, and other options are prepared that you can choose the desired option. 3. Because Ski / SnowBoard equipment is all prepared, we highly recommend this to those who just need shuttle bus. 4. Great opportunity to enjoy Snow in Korea at an inexpensive price. 5. Pyeongchang Winter Olympics 2018 were held on both ski resorts. This is the shuttle bus product, which takes you to either YongPyong Resort or Alpensia Pyeongchang Resort from Seoul. Highly recommended to foreigners living in Korea and in fact many foreign tourists take this product to go skiing. There are also other options, such as snow sled or gondola, you can have fun having snow fights and making a snowman with your family, friends, or lovers! With 28 slopes for every level of skiers, YongPyong Resort is the best choice even for beginners and intermediates and the most favored ski resort for foreign skiers in Korea. 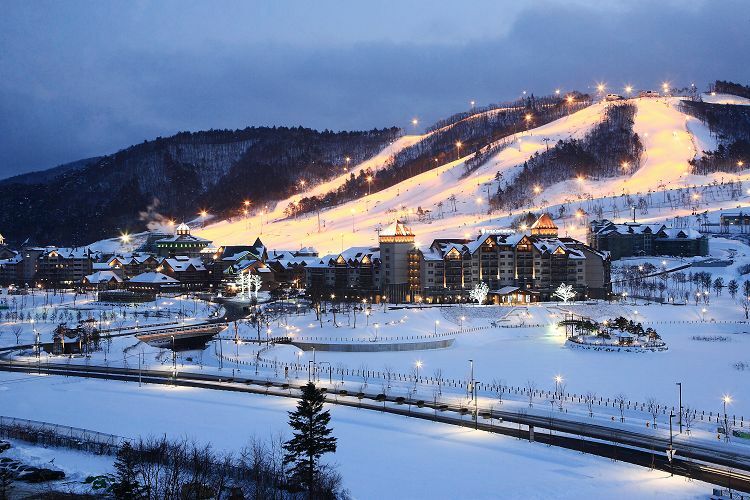 Come and experience what YongPyong Resort has to offer, a premier ski area and venue of the Olympic Games. Located in Gangwon-do, Alpensia Pyeongchang Resort is the actual filming location of the Korean film "Take Off" and the ski resort where the actual Pyeongchang Winter Olympics was held. 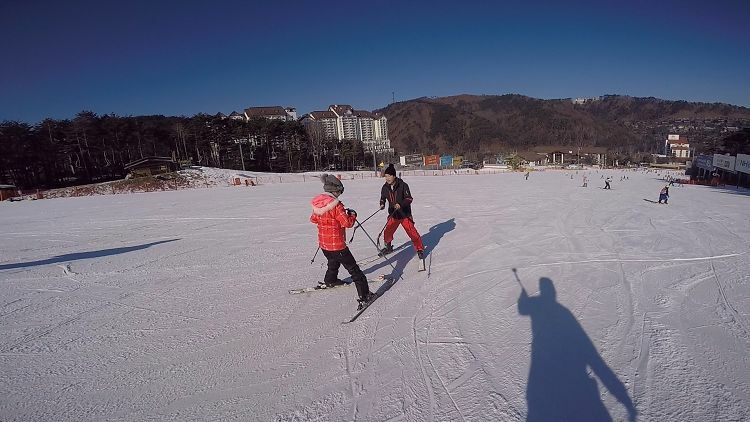 As a representative Olympic ski resort, Alpensia Pyeongchang Resort offers various ski facilities and is famous for must-visit Pyeongchang attractions. 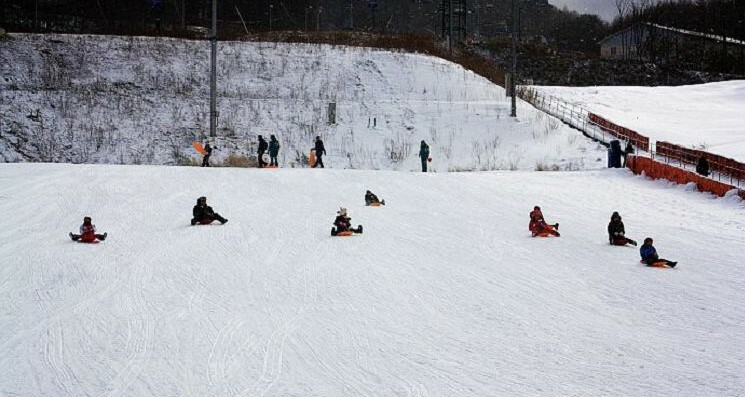 • A great chance to enjoy all from skiing to snow sledding at the snow-covered Alpensia Resort! • By taking the basic lesson, you can learn how to ski quickly. • Enjoy skiing / snowboarding / snow sledding after a nice and fun basic lesson for 30 minutes! 1. When the tour is cancelled due to the weather, we give a 100% refund. 3. Please arrive 10 minutes before the meeting time on the day of the reservation and have a meeting with the guide. 4. This is the Foreigners-only Tour.